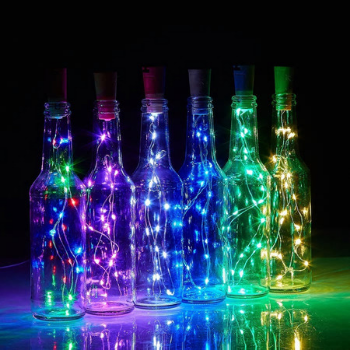 Take those empty glass bottles at home and turn them into beautiful decorative displays this holiday season! These LED light sets are so simple to use, you don't have to be a crafts-expert to create an awesome look. 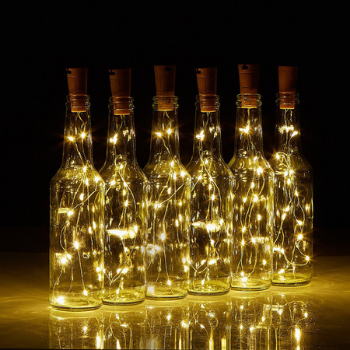 Just unravel your new lights, install the batteries, and thread them into a clean, empty bottle. The battery compartment nicely sits in the top of the bottle looking like a cork - no messy cords or unsightly wires. 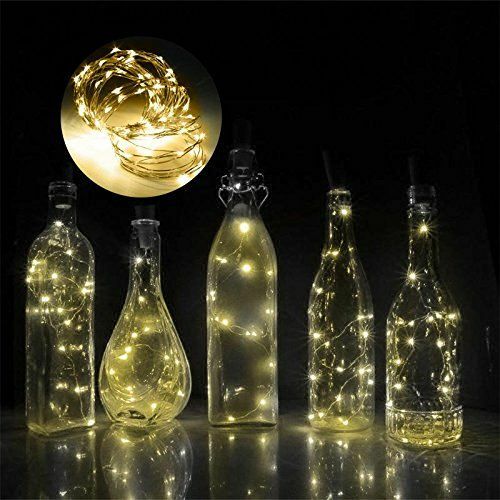 Each purchase is for one single light - the length of each LED Light is 75 cm or about 2.5 feet, so perfect for just about every bottle. BUY 2 OR MORE ... GET ANOTHER 25% OFF!